Home › Paripatra › SCHOOL KAXA NI 1 DIVSIY SMC TALIM NI GRANT BABAT PARIPATRA DATE- 3-1-2018. 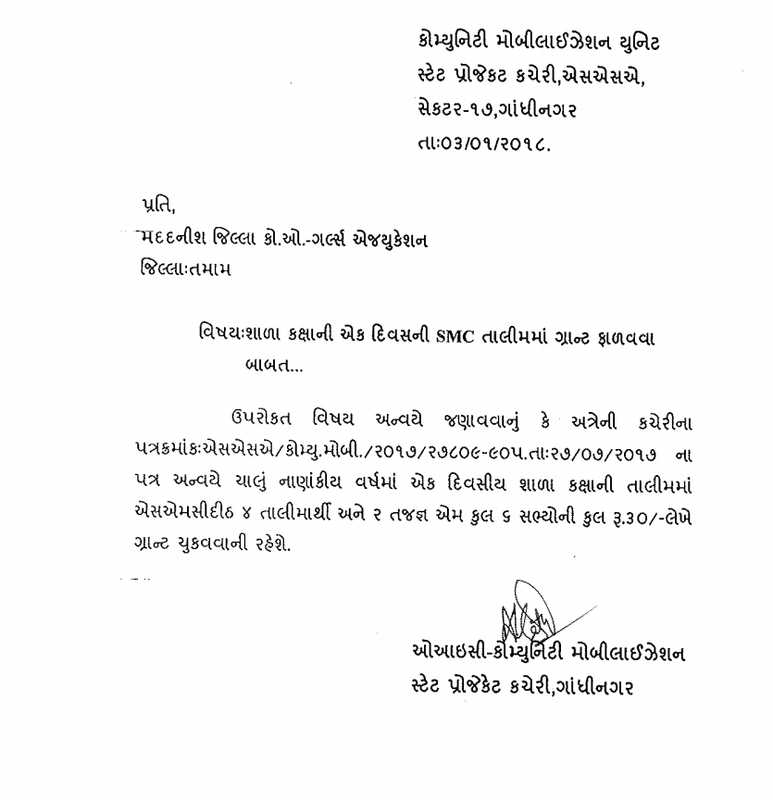 SCHOOL KAXA NI 1 DIVSIY SMC TALIM NI GRANT BABAT PARIPATRA DATE- 3-1-2018. Teachers are great sources of knowledge, prosperity and enlightenment to which anyone can be benefited for whole life. They serve as the real light in everyone’s life as they help students to make their ways in the life. They are the God gifted people in everyone’s life who lead us towards success without any selfishness. Really, we can call them as builders of the dazzling future of our nation through education.Teacher plays very essential role in the field of education who teaches students very nicely to be a person of good moral and behaviour. They make students academically superb and always encourage to do better in the life. They equip students with lots of knowledge, skills and positive attitudes so that students can never feel lost and go ahead. They help students to get sure about their goals of education through clear vision and ideas. Without teachers in the life one cannot grow mentally, socially and intellectually.